Beaches in Connecticut rim the Long Island Sound. 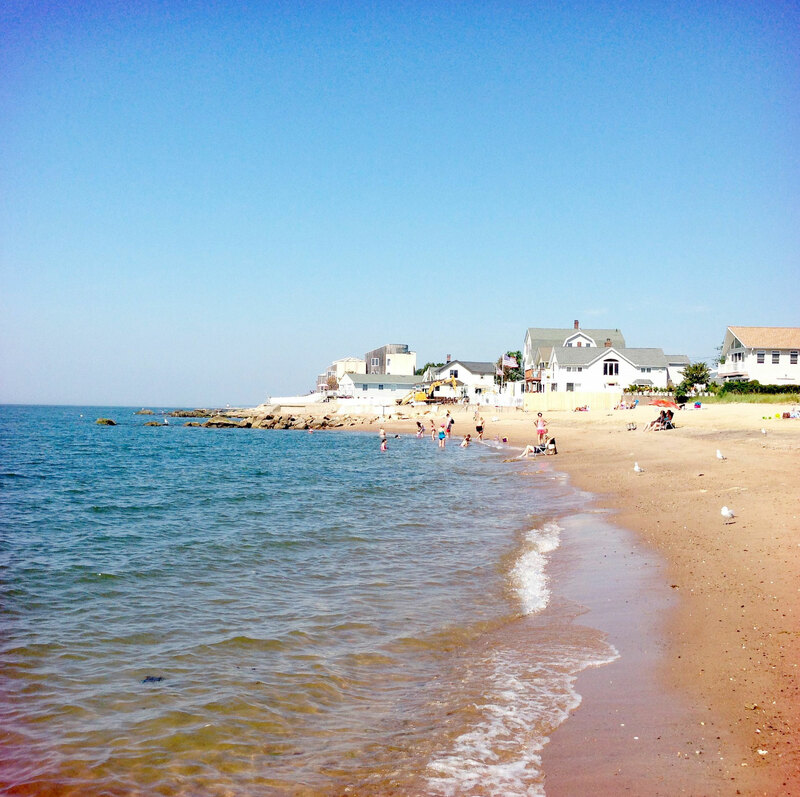 The Long Island Sound separates mainland Connecticut from Long Island and hosts some of the best beaches in the State. Ocean Beach Park on Long Island Sound is a tourist get-away. Lined with sandbars, Ocean Beach is a great place to swim and relax. Other coastal beaches include Morse Beach, DuBois Beach, Misquamicut State Beach and Hammonasset Beach State Park (to name just a few). Hammonasset beach has more than two miles of beach ripe for swimming. Silver Sands State Park has been ranked Top 10 in New England for its remote coastal feel. The beaches are rarely full and the sand is always clean, making Silver Sands the ideal getaway from the crowded beaches. Silver Sands is also known for having the warmest swimming waters. Rocky Neck State Park’s large white sandy beaches attract thousands of campers each year to enjoy the miles of perfect swimming conditions. At Harvey’s Beach, the changing tide provides different water uses. At low tide, conditions for shell picking and wading in the cool waters are ripe. Connecticut also has a handful of inland beaches. Pattaconk Lake within Cockaponset State Forest offers a beautiful freshwater swimming hole, in case a salt water dip isn’t an option. The Connecticut River also offers kayaking and fishing while the Farmington River is great for tubing and swimming.